The Bandaranaike regime saw a drastic change in the foreign policy with the establishment of diplomatic reciprocal missions in China, Russian and other red countries. 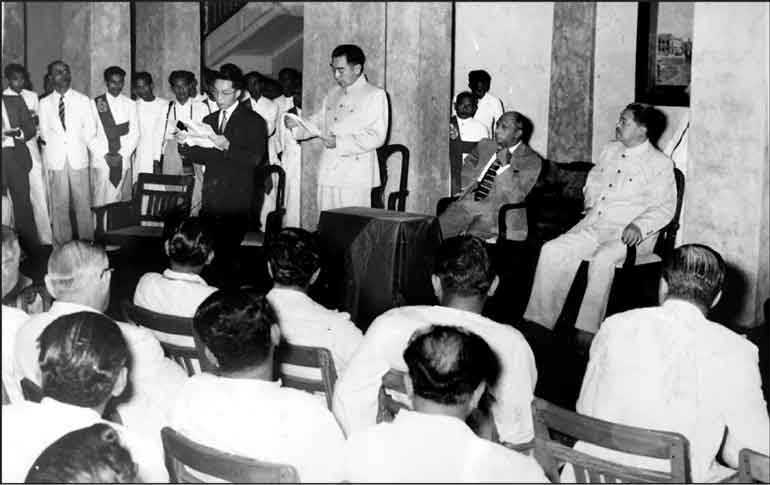 The first firm acceptance of this policy was shown by the People’s Republic of China when Chinese Prime Minister Zhou Enlai (then we used to write Chou En Lai and in Sinhala wrote and pronounced the name in several forms) accepted the invitation to be the Chief Guest at the Independence Day celebrations. He arrived on 31 January 1957 and after attending the 4 February celebrations in Colombo, undertook a fairly lengthy tour. The Minister of Lands and Land Development and Leader of the House, Charles Percival (C P) de Silva was the Minister in Attendance during Zhou Enlai’s tour with Parliamentary Secretary (Deputy Minister in today’s jargon) of Defence and External Affairs T.B. Subasinghe assisting. 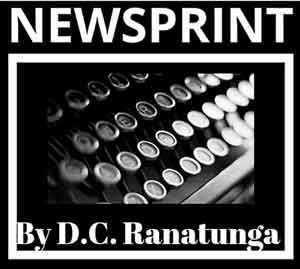 The one-time civil servant (CCS) CP, as the Minister was referred to by his colleagues) had been involved in colonisation work in the Raja Rata and on entering politics he contested the Polonnaruwa seat and won. The Chinese PM was taken to Polonnaruwa possibly to show the progress in development work in rural areas. The Chinese PM being an ‘extra-special’ visitor, the Daily News Features Editor Reggi Siriwardena (the scholarly graduate with a first class in English was handpicked by university contemporary and Lake House MD Esmond Wickremasinghe) joined me and photographer big, burly Wally Perera for the trip to Polonnaruwa. We were driven in a Volkswagen Beetle. The press ‘battalion’ was pretty large and combined with the officials and security staff the convoy was quite long. Driving along the Colombo-Kandy road, the motorcade suddenly stopped at Pasyala. We saw the cadju girls cheering with Chinese flags in their hands. We jumped out of the car to find Zhou Enlai walking into a small house and patting a kid who was being carried by the mother. Something totally unexpected, it t was a field day for the cameramen. At a time when there were no five-star hotels even in Colombo, the Polonnaruwa rest-house had been arranged for the party. The rest-house on the bank of the Parakrama Samudra had been refurbished a couple of years earlier for Queen Elizabeth’s visit. Zhou Enlai and party was taken round the colonisation schemes and he was obviously impressed. He walked along the canal bunds and watched the water flowing down to the paddy fields. 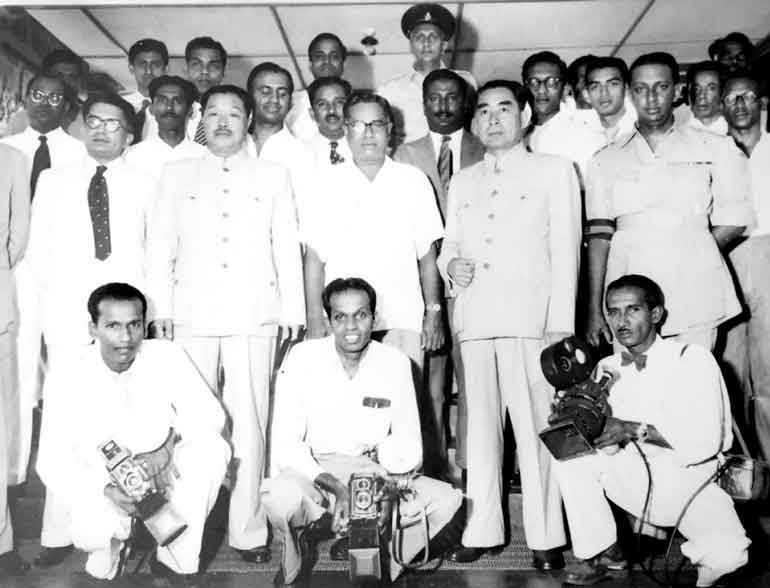 Before leaving Polonnaruwa Zhou Enlai and the Chinese Vice-Premier He Long, who was accompanying him, posed for a photograph with the entourage and the journalists on the steps of the rest-house. Arriving in Sigiriya he climbed up to the lion’s paw and decided to go right to the top. Renowned archaeologist Dr. Senerat Paranavitana had by then retired as Archaeological Commissioner but was present to brief the visitors on the history of Sigiriya. We all climbed right to the top. Prior to his departure Zhou Enlai addressed members of both Houses of Parliament with Speaker H.S. Ismail presiding. Covering the Chinese PM’s visit was a rare, unforgettable experience in my journalistic career and I still treasure some photographs. Soon after the visit, the highly-respected philanthropist and politician, best remembered as the founder of Sri Palee Vidyalaya in Horana on the lines of Santiniketan, Wilmot A. Perera was appointed as the Ambassador in China.